Yearbooks have been a popular concept for many years. Whether we are talking about high school yearbooks, family yearbooks or company yearbooks; it’s a great way to keep the past memories alive through a printed photo album. And the printed version of a yearbook is even more precious and rare nowadays when we’re living in such a digital world. More than that; we can all admit that the feeling we have when we hold a printed yearbook in our hands and flick through its pages holds a special place in our hearts. Creating a unique and attractive yearbook makes you happy and gives you a sense of satisfaction because whenever you open it and look through it; you relive those amazing flashbacks once again. But how can you create a yearbook that gives you these kinds of goosebumps? With a lot of patience, energy, and much perseverance. Keep in mind that it requires a lot of time, so make sure you’re going to enjoy the whole process. And the best part about this is the fact that this entire process is incredibly rewarding when done. 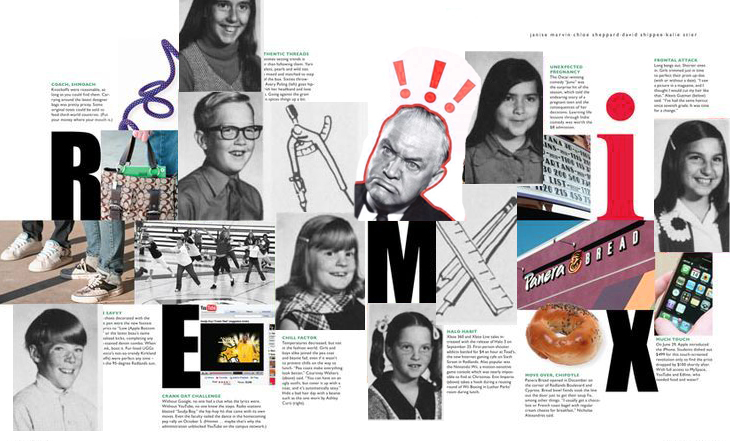 Today’s article focuses on the long and pleasant procedure of creating high school yearbooks; being the most popular and preferred kind of yearbook from the list I enumerated above. There are two types of high school yearbooks that you can create: the impressively designed ones that will be cherished by both students and parents for years to come and the boring ones that would end up in a box, never to be opened again. If you want to create a yearbook like the first type; then you should take into consideration the next yearbook ideas we’ve prepared for you! Let’s get started! After choosing the theme, make sure to also stick to it throughout the entire yearbook. You’ll have to assure yourself that every layout, quote and each section added relates to the theme you chose. When thinking of perfect yearbook ideas for your school photo album, double-check that you start with this first step. Generally speaking, books should never be judged by their covers; but a yearbook cover sets the stage for the rest of its pages. And it’s also the first thing that everyone notices. That’s why it’s highly important to invest in your yearbook cover. After all, first impressions are all that matter! Since we’ve already discussed the theme of your yearbook and the fact that you have to stick to it throughout your whole yearbook; we advise you to incorporate the theme into the front cover. 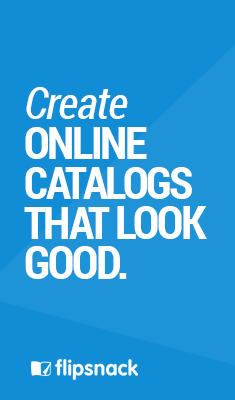 Include the style, colors, fonts, and even the slogan into the cover; so readers immediately notice what to expect in the rest of the yearbook. When speaking of high school yearbooks; you should go for a clean and simple cover that features the school mascot or the school colors. Or you could also choose the school logo instead of the school mascot if your school doesn’t have one. A stamped logo on a yearbook cover has a great impact and determines a long-lasting school photo album. Whatever yearbook ideas you decide to choose, make sure you get creative and have fun! pay attention to fonts: one common mistake when designing a yearbook is to use too many fonts on one page. People usually forget that using too many fonts at once affect the readability of the texts; the page looks crowded and the readers will be distracted from the message. Choose a maximum of 2 or 3 fonts. The most popular and appropriate ones are serif, sans-serif or script fonts. quotes: if you’re going to introduce some quotes (and I advise you to do so! ); try to make them look funny and vivid by playing with some bright colors. Usually, these elements give a more joyful aspect to the high school yearbooks. 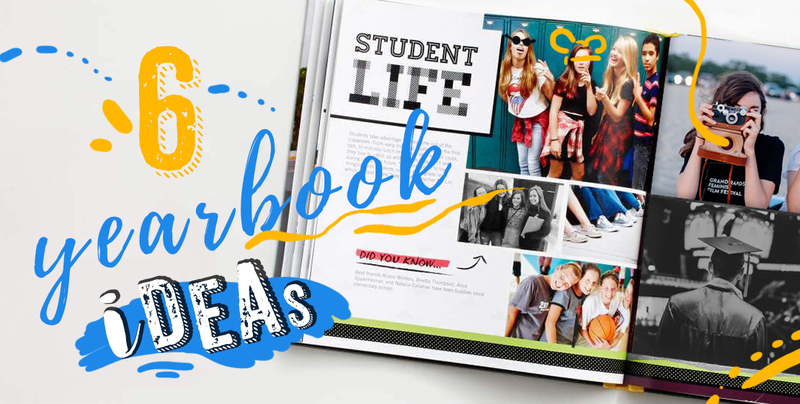 No matter what you choose to take into consideration from this list with yearbook ideas; make sure to show off your design skills and creative thinking. Go for something bold and out of the ordinary, people are sick of plain and dull design elements. add a table of contents to ease the reader’s searches: first and foremost, make this the first section of your yearbook. This comes really handy as a reference point if someone wants to find a picture of the cheerleaders’ group or wants to read some students’ testimonials. a day as a student: it would be also great to include a section that focuses on the student’s life. Write about what students do in and out of school. Present the sports events, school dances, students clubs and so on. Don’t forget to also add some pictures to maintain these stories. thank you section: implement a section for all the teachers that made the school years nicer and memorable. High school yearbooks aren’t just about the students; but also about the teachers who invested in their students and shaped their characters. introduce the autograph section: this might be the funniest and genuine part for some of the students. These pages are dedicated to both students and teachers. They should use them to write quotes, notes, draw some pictures or even leave their phone numbers to keep in touch with each other. As we already discussed; it’s utterly important to insert the best pictures in the high school yearbooks. They are sincerely the first thing people notice after opening a school photo album. And also the most efficient way to tell the story of the entire school year. In this sense; we encourage you to use meaningful and memorable photos that would remind students, teachers and parents of important and fun events that took place in their school days. Events like student life or annual parties are a great suggestion to insert in a school yearbook. These are the simple things that make you feel happy and content later in your life. Simply collect all the cool photos of these events and illustrate them vividly. 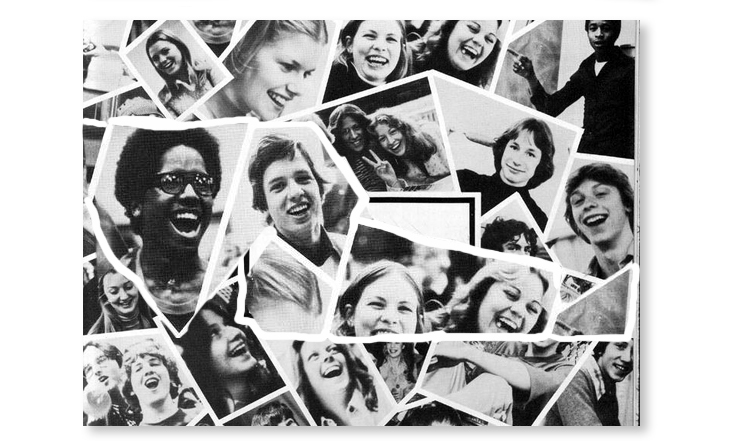 Don’t forget about the graduation ceremony pictures – these are a must when talking about high school yearbooks. One of the most important events in a student’s life should definitely be commemorated. If you want your yearbook to look nice and professional, then you should think of hiring a qualified photographer. Or ask a friend that has some experience in this domain to take the pictures. Think outside the box and take some creative pictures together! For example, you should take some pictures that portray their passions and hobbies. Try to always keep in mind these yearbook ideas concerning the photos’ section when trying to design the perfect one! 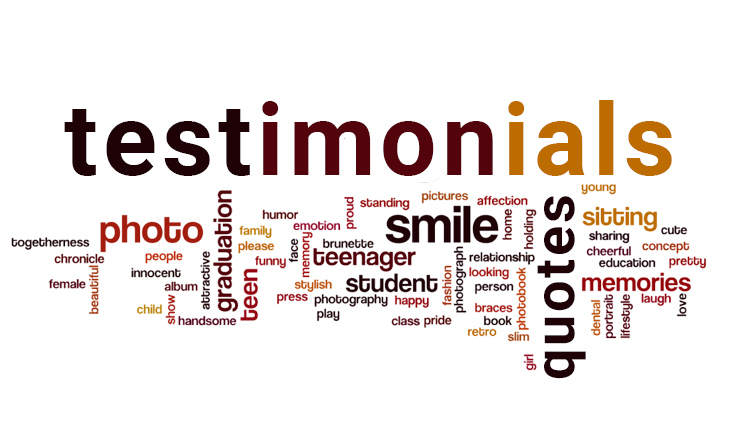 At the fourth point, we mentioned the importance of adding the testimonials or quotes section when making high school yearbooks. It’s no big news nowadays that a perfect school photo album includes real testimonials about school events such as championships or scholastic achievements. This is a really great way to keep forever alive the best memories from the high school years. The essays are also a good idea for high school yearbooks. Here we can include the dedication section, some personal messages from teachers and parents and also the principal’s last message for the students who graduate. It’s essential to insert a principal’s message if you want to set the tone for your yearbook. But probably the most important part of this section represent the honest quotes students leave to each other as a “final thought” before entering the adult life. These quotes reflect creativity, nostalgia and also personal reflection. When making a school photo book; make sure you’re going to leave some “white space” above or below the students’ photos so they could write funny captions or comments or even some inspirational quotes. With these messages from your colleagues, you’ll assure yourself that these great years will never fade away. Try to always remember these yearbook ideas when you want to create one of yourself. Here we are, at the end of this article. We really hope you find it as useful and provocative as we do and you’ll take into consideration our yearbook ideas when you have to design one of your own. It might seem difficult at the beginning to design high school yearbooks; but it’s actually a lot easier than you think. 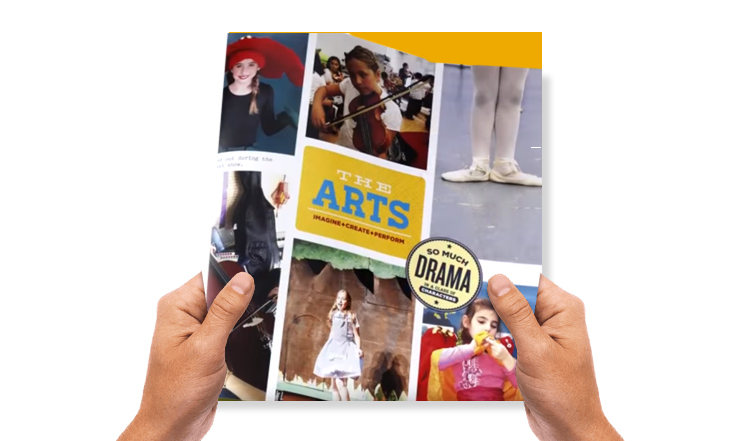 With an impressive cover and page layouts that capture entirely the heart of your school; you’ll succeed to create a yearbook nobody can put down. Whatever you decide to implement into your personal yearbook; make sure that you’ll enjoy the whole process, because it might take a little bit longer than expected. But it will be worthwhile in the end. And you’ll also be happy about the final result. You’ll have a forever keepsake from your school’s years. If you have any different ideas regarding today’s subject, feel free to share them with us! Write them below in the comments!